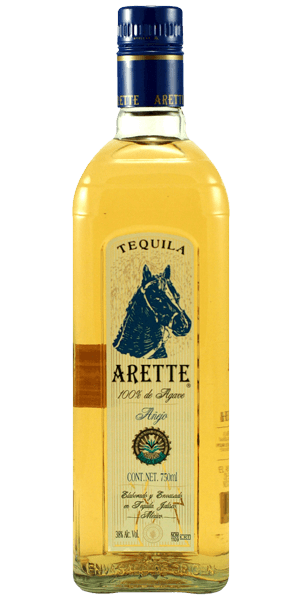 The Arette Añejo Tequila is made from 100% Blue Agave and is aged for 14-18 months in American white oak barrels. The Blue Agave they use is matured for an average of 9 years (which is slightly ) before being cooked and processed. What does Arette Añejo Tequila taste like? The Flavor Spiral™ shows the most common flavors that you'll taste in Arette Añejo Tequila and gives you a chance to have a taste of it before actually tasting it. Flowery, citrus fruit, caramel, chocolate and a little smoke. Smooth, soft with a bit of spice, orange peel, earth accents and oak. Quite long, with notes of black pepper and citrus.